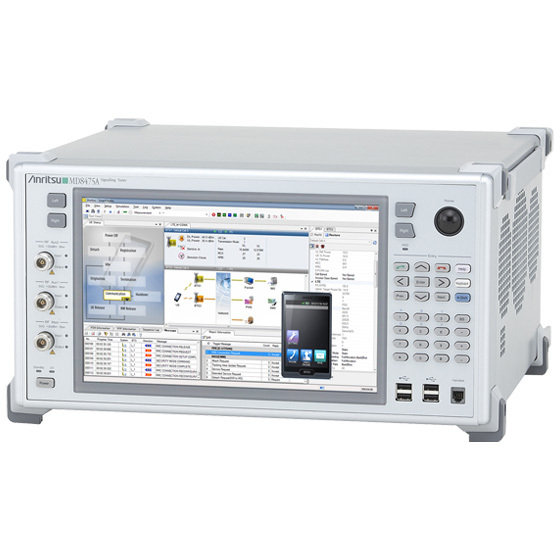 Using the GUI-based SmartStudio MX847570A software with the MD8475A base-station simulator makes it easy to configure a smartphone test environment. Various parameters, such as frequency changes, control status, etc., are set at the GUI to run one-touch tests—including quasi-normal tests—that cannot be run easily on live networks. Eliminating the need to create test cases or understand signalling protocols makes it easier to focus on testing smartphone functions and performance. 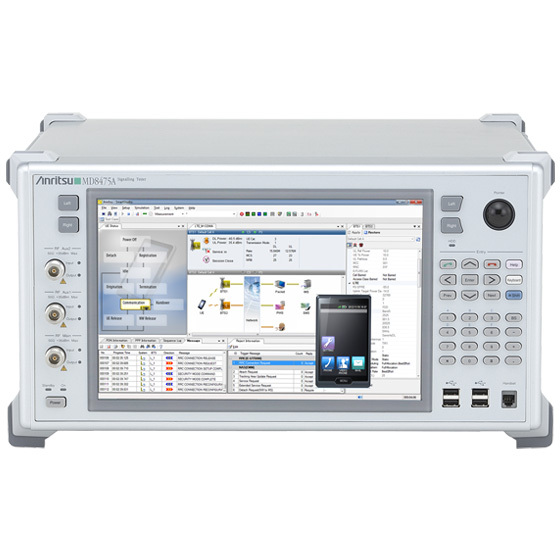 A full line of test environments are supported for the general mobile verification phase, such as max. 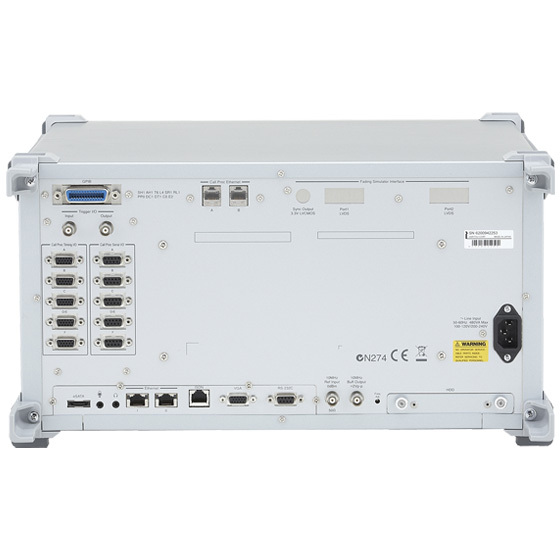 throughput performance tests, stress tests, and battery consumption tests of LTE terminals, as well as CS Fallback, call connection reliability and stability tests at handover, communication tests at low RF power, offloading from LTE to WLAN tests, and service verification using LTE multiple PDN and SMS in a 2-cell environment*. The SmartStudio Manager MX847503A software is for editing test sequences and running created test sequences automatically and continuously. This software automates manual testing using the SmartStudio MX847570A software. Automated, operator-free evaluation improves efficiency. Additionally, Pass/Fail evaluations can be reported along with the continuous test results. * Some options may be required depending on the system configuration.